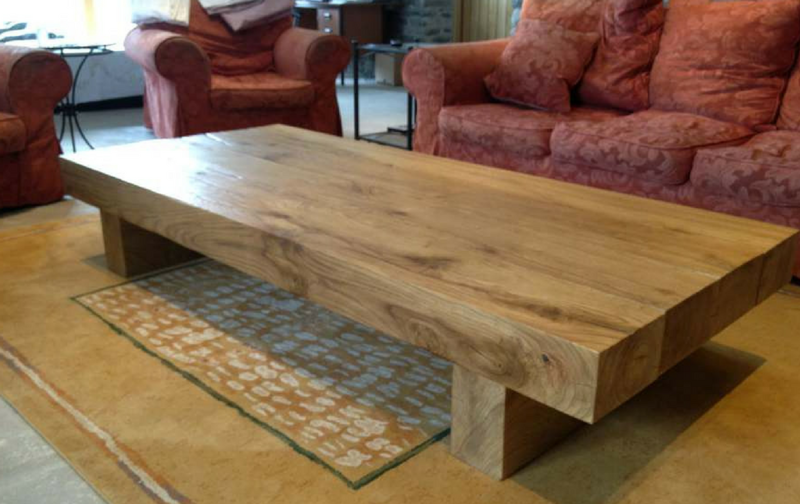 We specialise in rustic coffee tables, all made in our UK workshop, using single pieces of high grade solid oak. We make every table individually so you can choose the perfect size and style table for your space. All out coffee tables are built to last for a lifetime, so this is literally the only coffee table you’ll ever need. 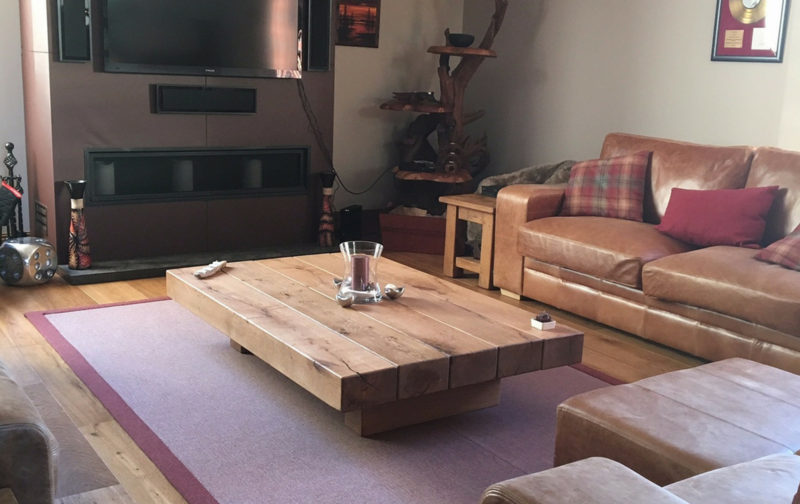 Our oak beam coffee tables are designed and built to not only to have a transformational effect on any room, but also to last for a lifetime. 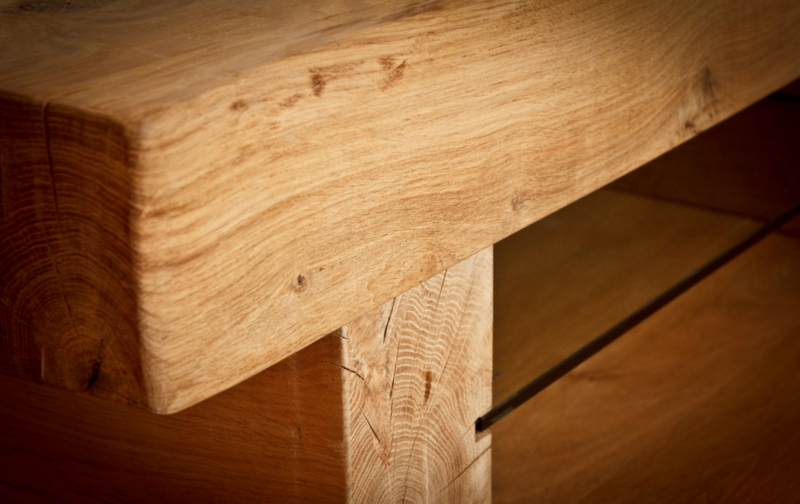 To achieve this, they’re made from the highest grade of oak beams available, unlike other manufacturers who use the lowest grade (basically one grade up from fire wood). 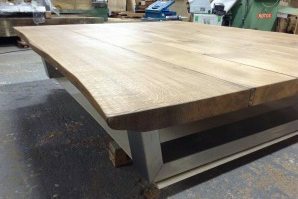 We put all of our oak beams through a rigorous drying process before we ever work on them, to minimise wood movement and make sure that the table stays solid. 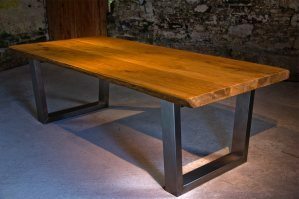 Combine these elements with our moveable joint system which allows the wood to breath and climatise to you home, and you get one of the finest rustic coffee tables that money can buy. 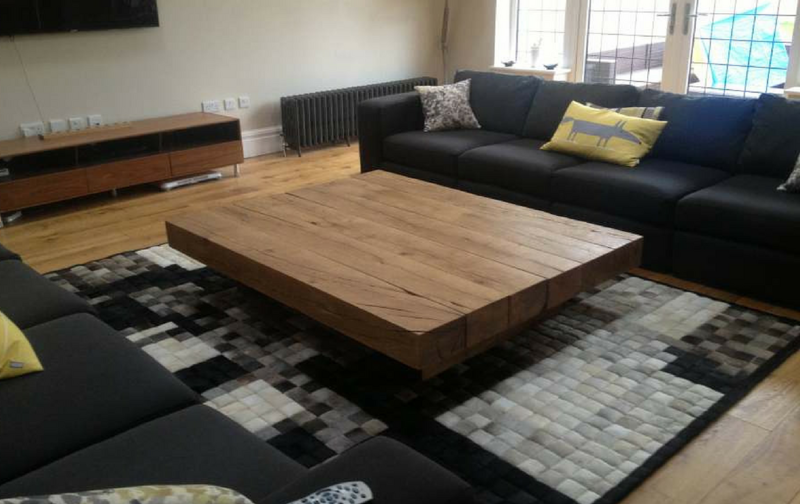 Our live edge coffee table has a smooth natural edge that’s been crafted from the raw edge of an oak tree. 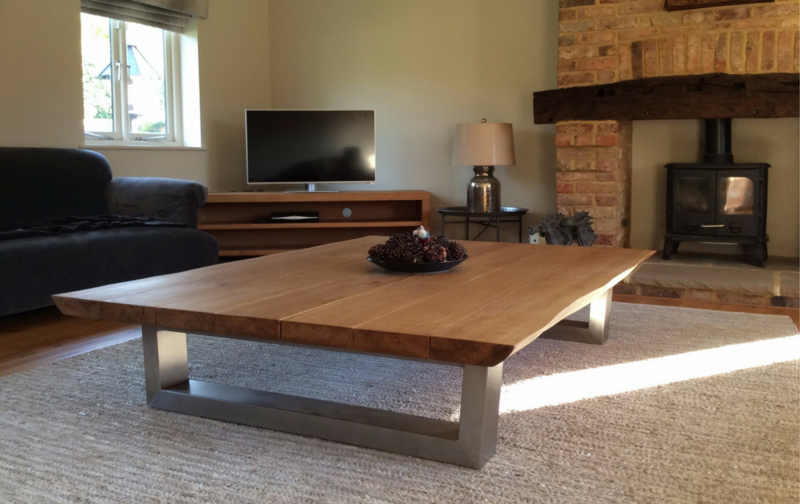 Coupled with a precise hand welded stainless steel base, this coffee table makes an incredible centre-piece. 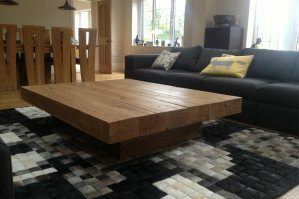 If you’re looking for a large table to fit your space, have a look at our large oak coffee table page. 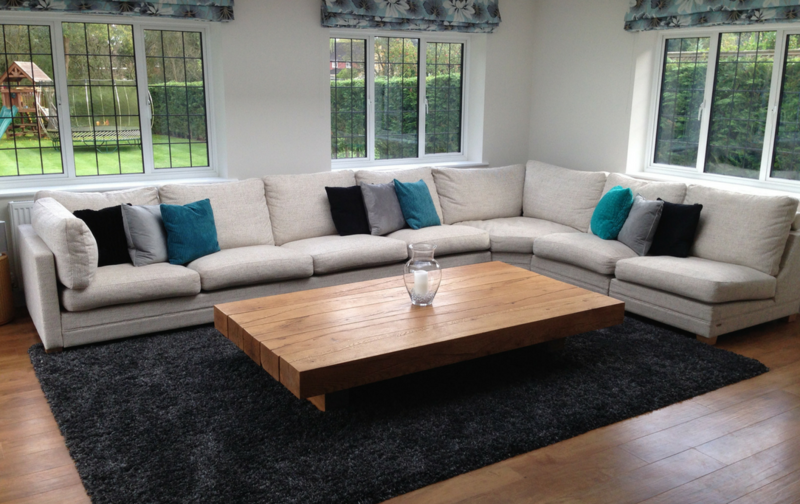 Here you’ll see our floating Amazonica oak beam table, and our classic style Arabica oak beam table. Both are designed and built to last for a lifetime.